There’s a funny thing about the future; no one knows what it will be like. There nearly infinite variations on what might be, which makes the future ripe for setting a whole slew of exciting board games. 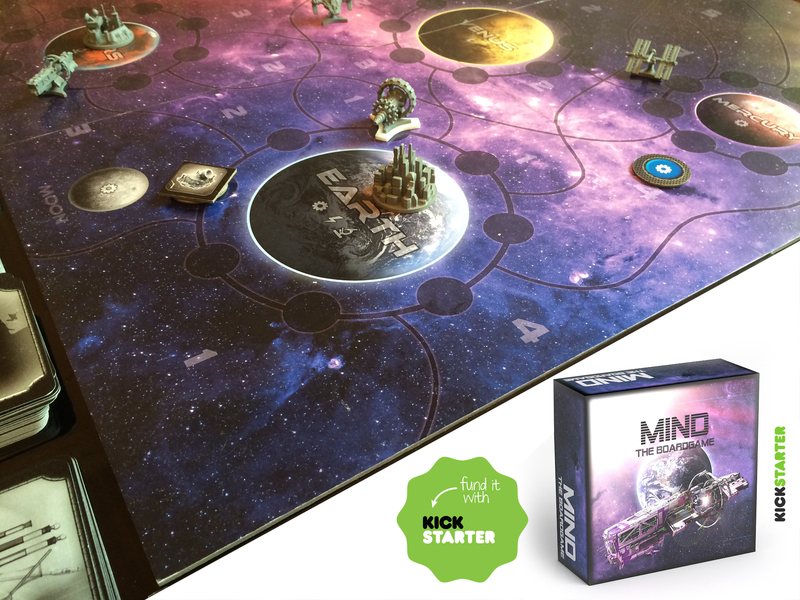 MIND: The Fall of Paradise is one such board game, now on Kickstarter. I had a chance to set down virtually with designer Vladimir Teneslav to talk about the game, and hopefully convince you to become a backer. Without further ado, THE QUESTIONS! Tell us a little bit about yourself, and your background in the gaming community? Give us the elevator pitch – what is MIND all about? MIND is about a future where Earth is divided between 15 districts that are at war with each other. As things get worse, and worse one district, called Lyanon, gives up hope and in a desperation attempt they give their ruling authority to MIND, this great artificial intelligence. This creates a counter force called the Rebellion, that does not agree with mankind obeying an A.I. and they make it their goal to destroy MIND. During the game one player becomes MIND and up to 3 other players take the roles of rebel leaders, named Andrew, Bruno and Irene. While they deeply fight each other they have a common goal of delaying the destruction of Earth that can make them all lose the game. Wow, sounds pretty epic. Does the war between the 15 districts come into play in the game, or is it just the rebels vs. the MIND? The war between the 15 districts has grave impact as it is what destroys Earth in the game. There’s a board that keeps track of all 15 districts and the bonuses that they offer, and one by one they are eradicated by conflict cards. When the last districts is destroyed Earth is lost and if by that time the players didn’t complete their common tasks they all lose. If they did complete them then the game continues, with Earth being destroyed. Is this a team game, where the 3 commanders are against MIND? Or are all players against each other, but some of them just happen to be more against MIND? So how does this come into play in game? How does the asymmetry work? Well firstly, MIND has no body representation in the game. To compensate for this he is given power of what it is built, what researches are made, what colonies are created etc. The leaders take part of this expanding world and wander in the colonies and spaceships that MIND creates. While both sides need to persuade citizens to join their side, the leaders want to make them rebels and MIND wants to upload them inside the Paradise. So, it’s a scenario based game. How many scenarios are there? Can you give us an example of a scenario? The game currently comes with 3 scenarios, one solo and 2 multiplayer. The multiplayer scenarios require one player to become MIND and between 1-3 players to play as rebel leaders. Scenarios let players know what are theirs initial resources, units and controlling colonies and spaceships. The multiplayer scenarios, for example, are very different, one having all players start on Earth and having to deal with the expansion in the Solar System, while the other puts the rebellion against MIND from the get go as it gives them starting colonies for them to manage. What sort of mechanisms are involved in this game? How do players accomplish things? Is there anything unique about the way the game is played? The interaction between the players is unique, that’s for sure. Regarding mechanisms, there’s hand management, character management (role playing), party management. Combat is done with a combination of special cards and dice, made in such way that you feel that you are in control but that there is also a surprise factor to make it spicey. The main source of inspiration was Natural Selection 2, a PC game, where one player becomes a Commander and the other team plays a First Person shooting game. Together they need to build things and coordinate to defeat the alien team. The feeling of cooperating and respecting the orders of the Commander took the co-op experience for me to a next level. I just expanded this idea and added other thematic things to the game. The theme is about an universe I’ve been thinking and writing about for a long time, so I had lots of ideas when going in and designing the game. Overall, I really wanted players to feel immersed in the game and the universe so theme and mechanics blend together really well to make sense. Did anything unexpected or surprising pop up in the design process? Did you work and think through everything, or did anything come as pure inspiration? The game was playtested 2-3 times a week for about 10 months with 2 different gaming groups. Being such an open game with many options some people really broke the game and found exploits. That was interesting to see. MIND was also underpowered for a while but then his ability cards changed. What is the most interesting aspect of the game in your opinion? Does the game require 4 players, or can it be played with more or fewer? And, approximately how long does a game of MIND take to play? Yes, the game can be played between 1 and 4 players and it takes about 3 hours once you know what you are doing and understand the rules. Why should people back this game on Kickstarter? How about all these cool minis? Does that convince you? Do you have any cool stretch goals or unlockables? Oh boy, don’t even get me started. I have SO MUCH prepared, from spaceships to cards. We just need to get there. Is there any last thoughts you’d like to share with our readers? This is your last chance to pitch your game and convince everyone to go back it! I am very confident that MIND – The Fall of Paradise is a boardgame made at the highest standards of the industry so all I need people to do is to just check it out. 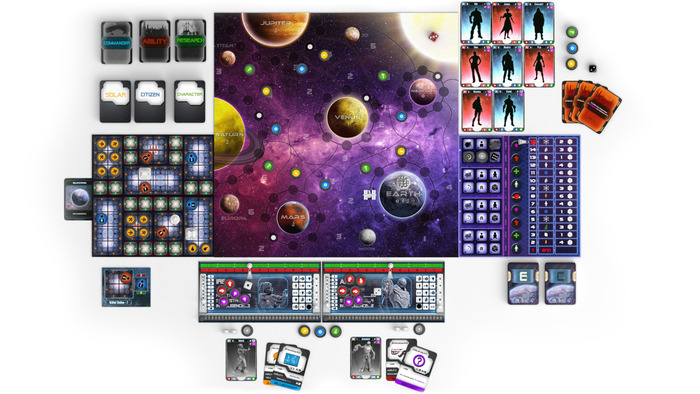 The boardgame will do the rest and convince everyone who likes sc-fi, 4x and heavier games that this is a must have. Unfortunately, kickstarter drifted from its initial goal and companies took the market and set very high standards for backers with pre-order campaigns. So if you now try to kickstart your dream you need to bring your “A” game and invest just as much as a company would. It’s a bit unrealistic and unfair to compete this way, but I live and adapt. But I want people to know that if they like the boardgame they need to remember that there may be no next year for MIND – The Fall of Paradise as I am just a man with a dream…and a prototype. 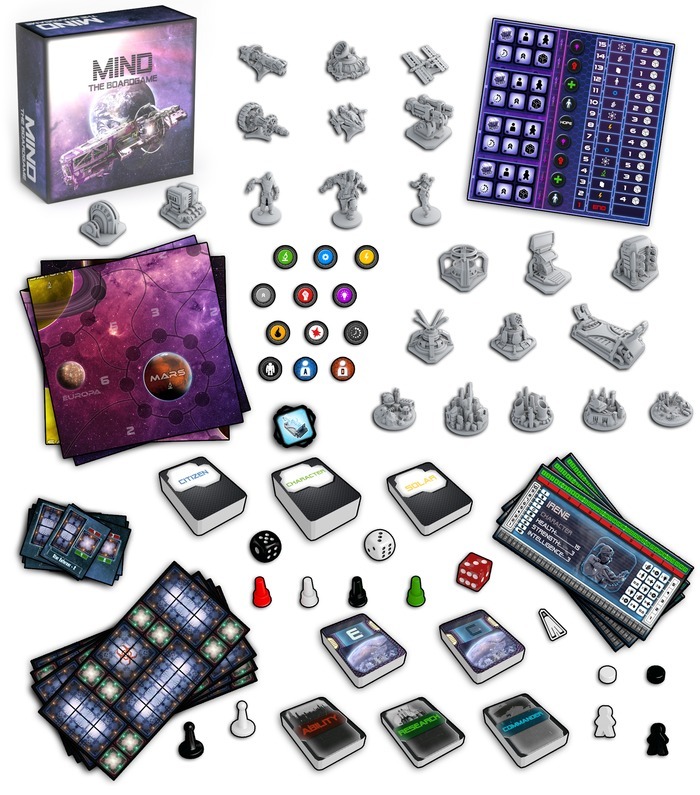 MIND is current running and gunning for funding on kickstarter. If it sounds as cool to you as it does to me, head on over to their kickstarter page and give it the ol’ backer treatment!